It is not always clear how the CSP handles incidents, encryption, and security monitoring. Organizations are rarely aware of all the risks they take when working with a CSP. In fact, the risks are multifaceted and are far more complex than those they experienced before moving to the cloud. Many organizations are turning to the cloud because of the resources required to manage complex supply chains. It can be challenging for most organizations to understand the supply-chain structure of the CSP’s environment; however, an increase in transparency will increase trust. 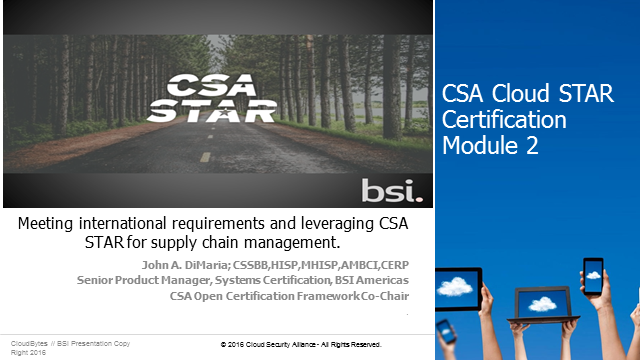 -How you can use CSA STAR to manage and monitor your supply-chain.